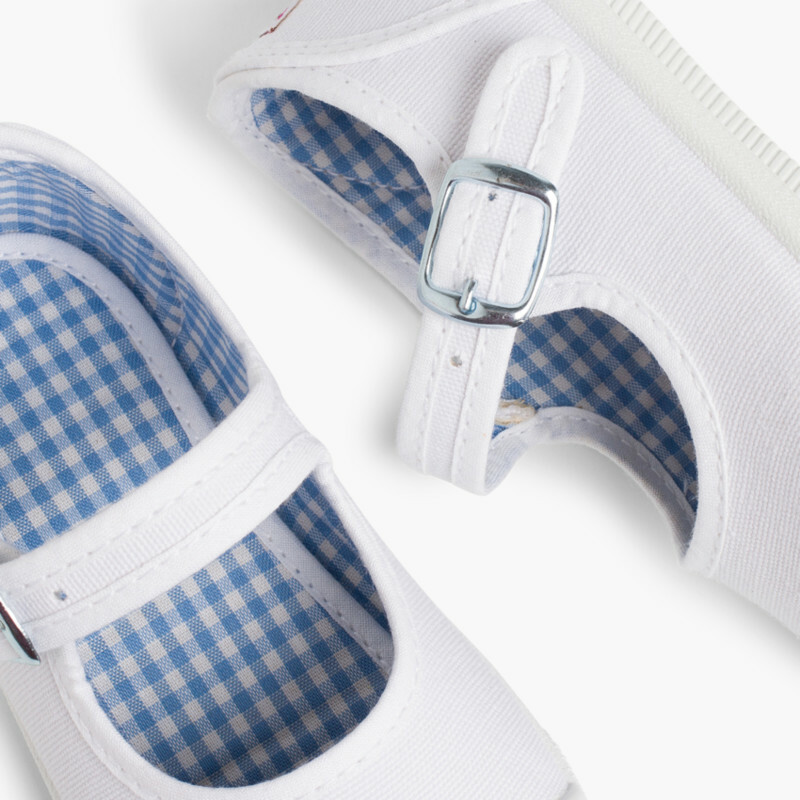 These are this season’s best canvas shoes for girls. 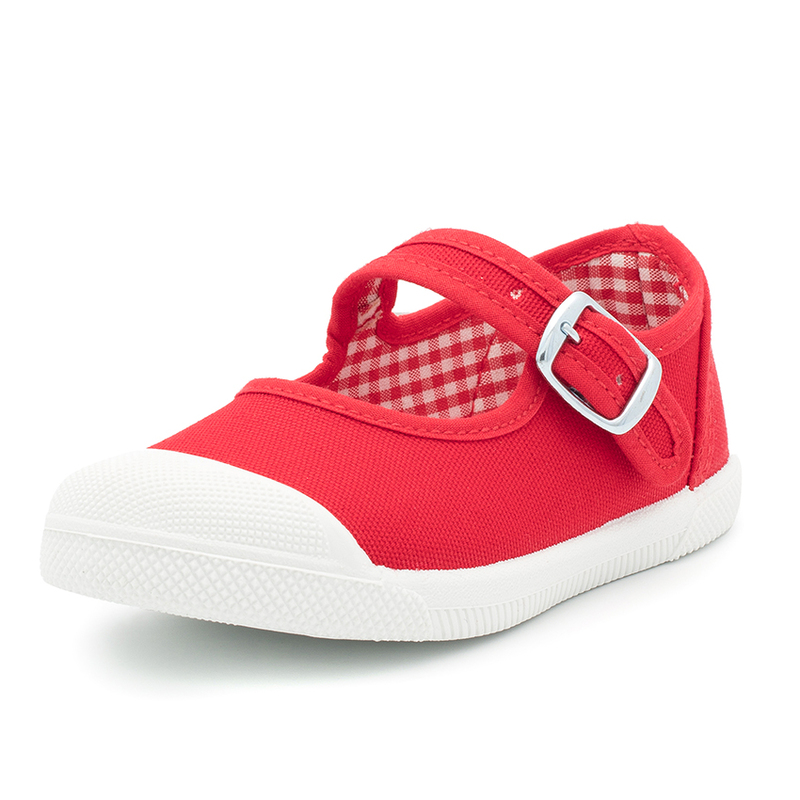 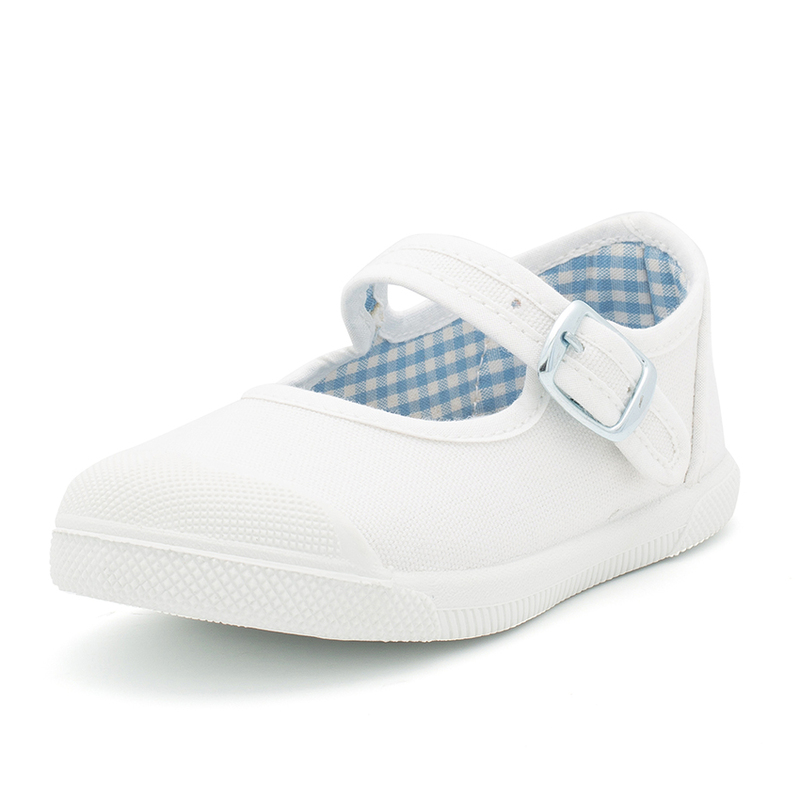 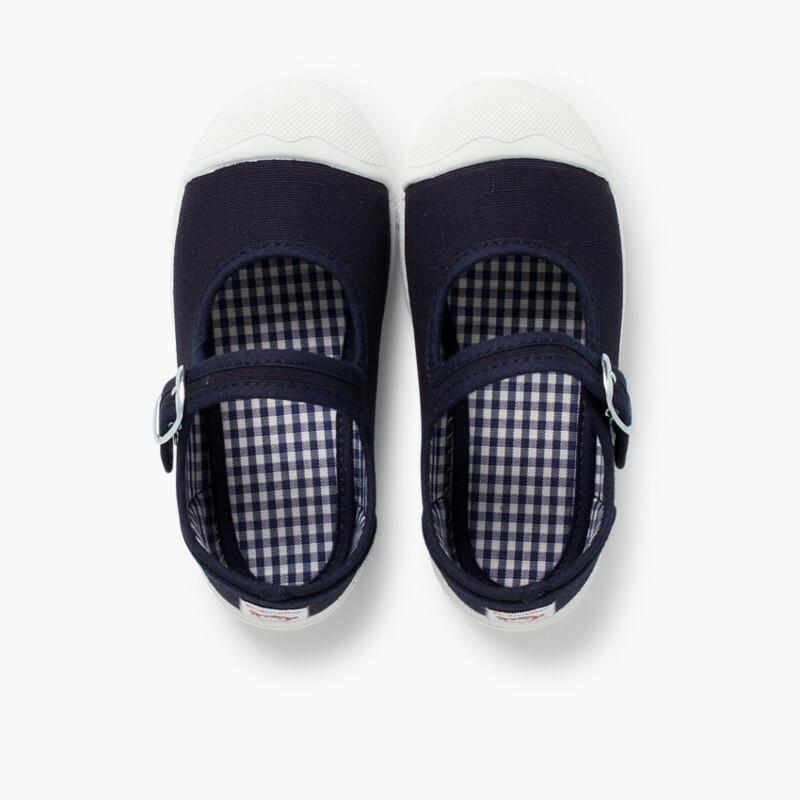 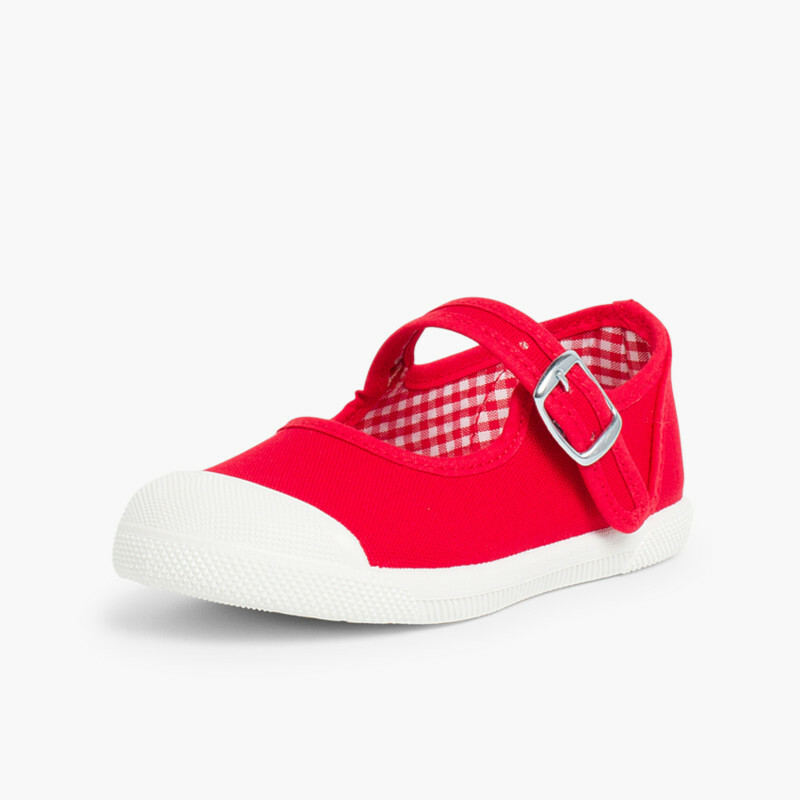 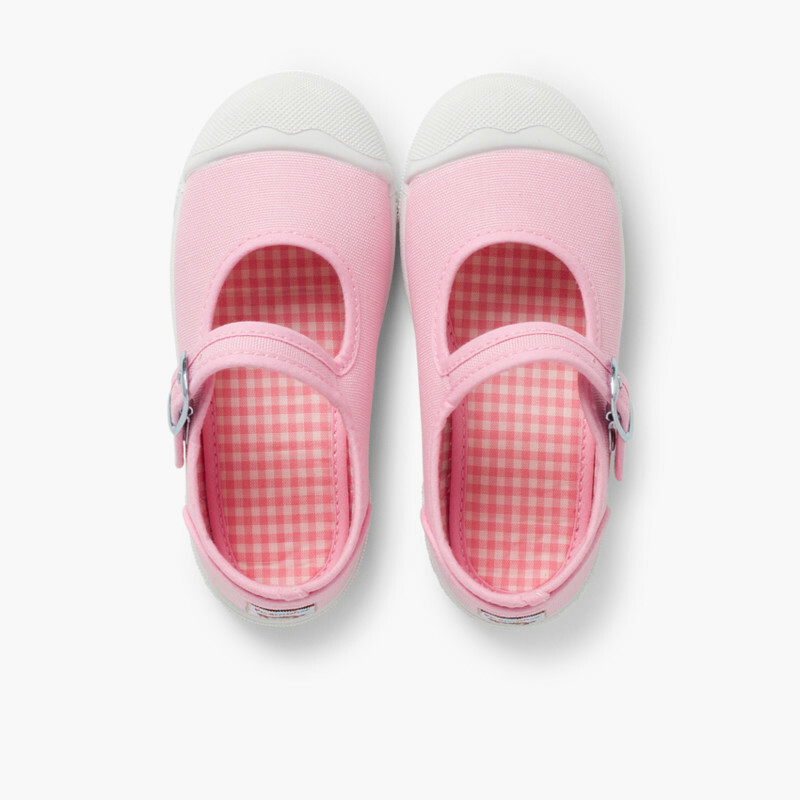 This Mary Jane style model is perfect for keeping your little one comfortable in the summer months. 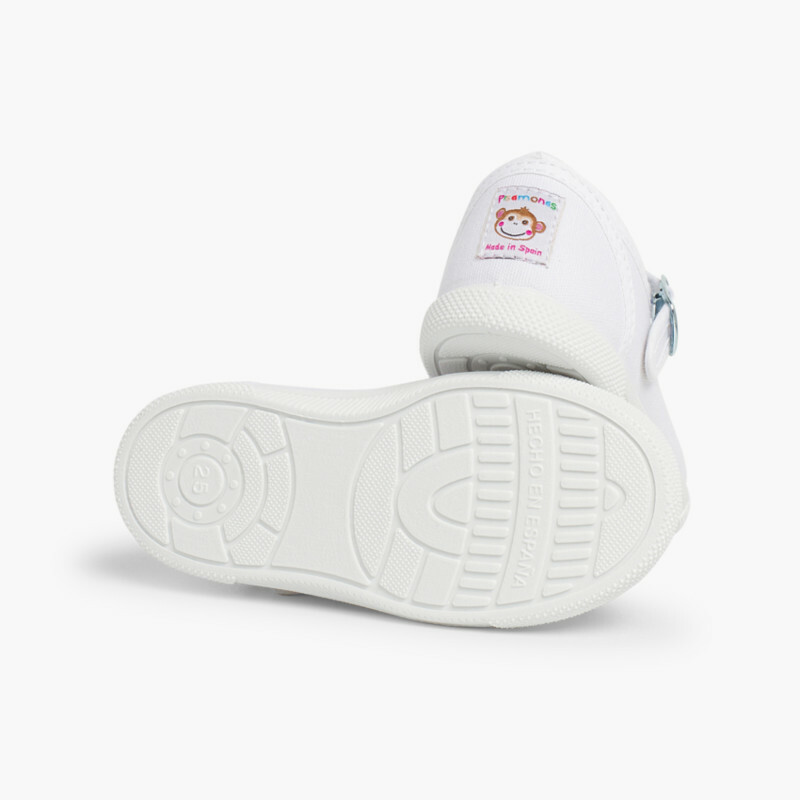 These pumps, which have white rubber toe caps, are reinforced to keep up with your little bundles of energy. 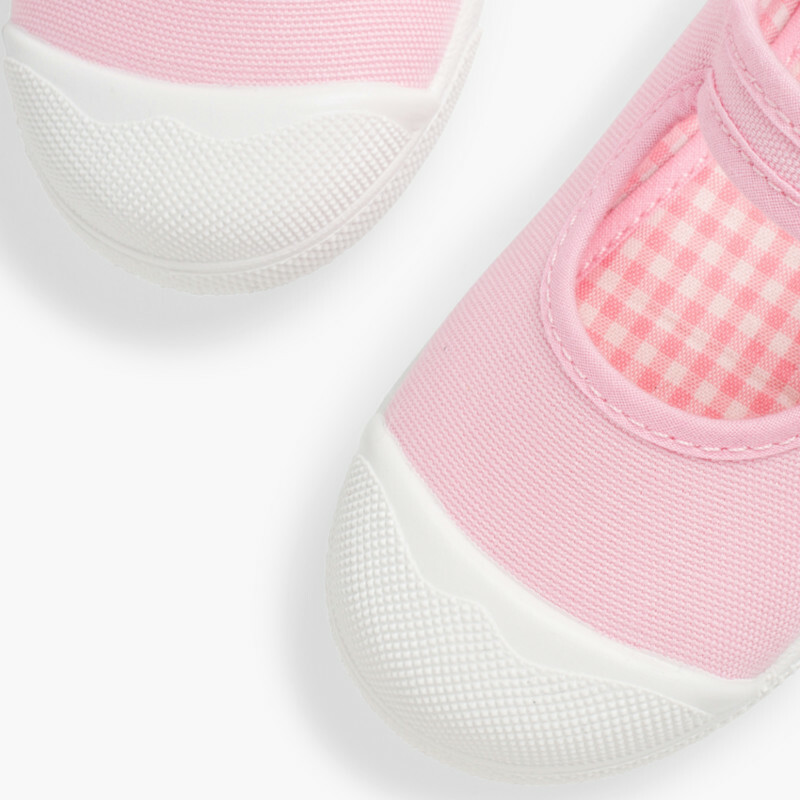 They’re perfect to be worn without socks thanks to the canvas material and other little finishing touches. 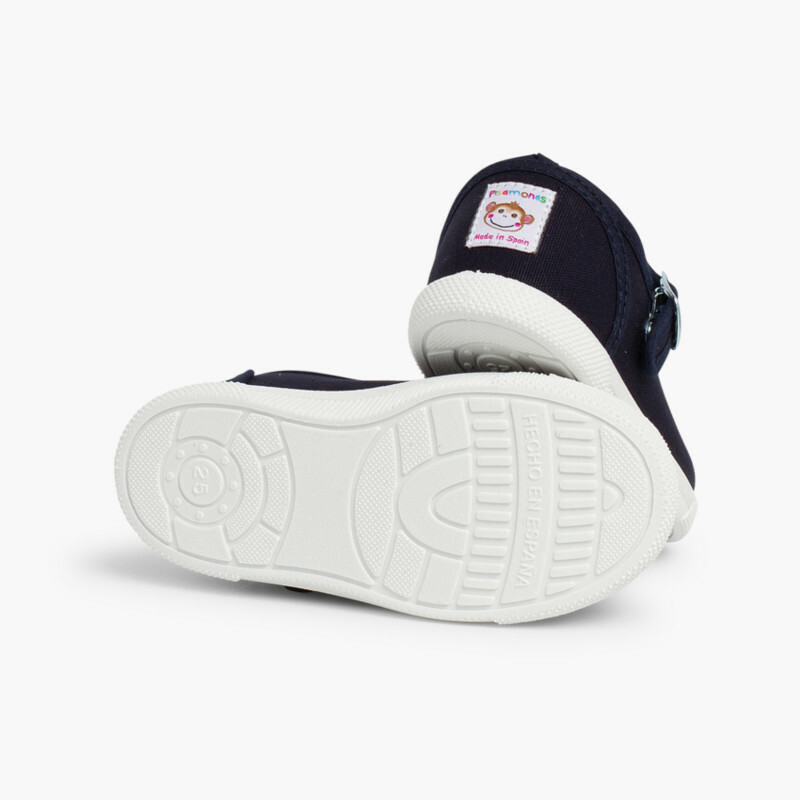 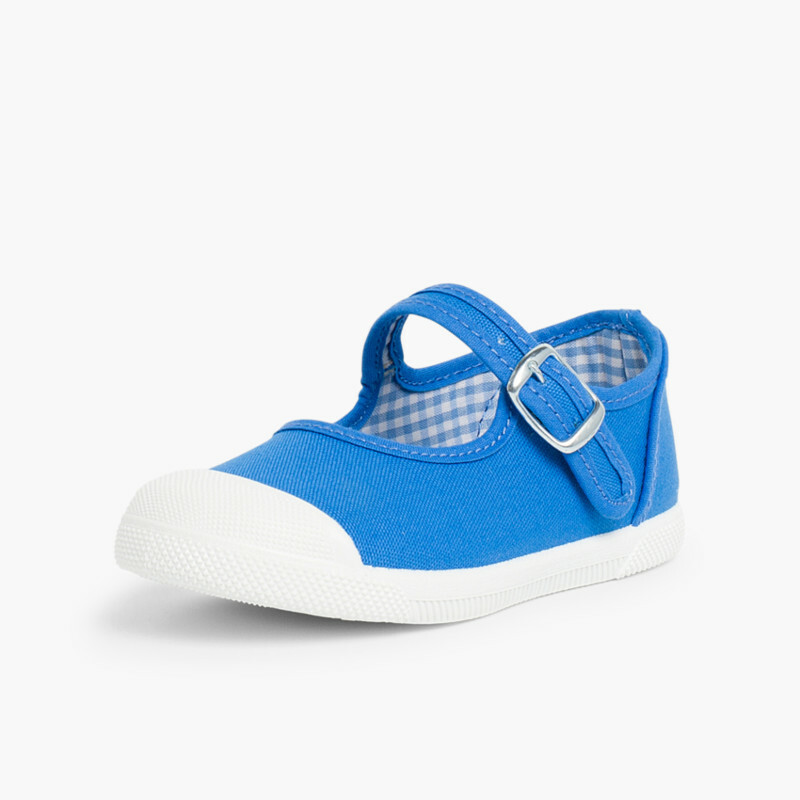 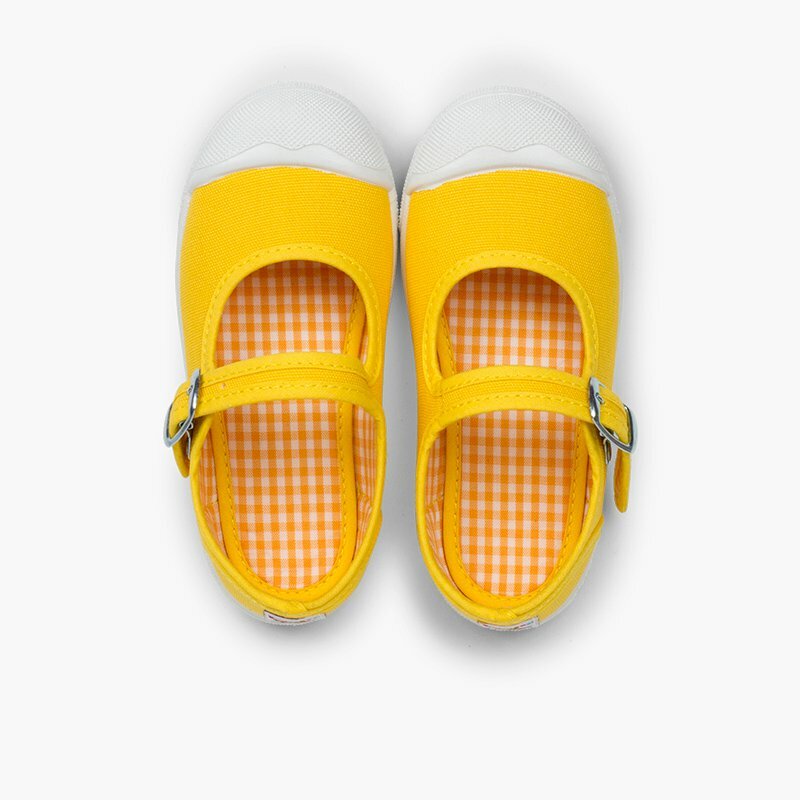 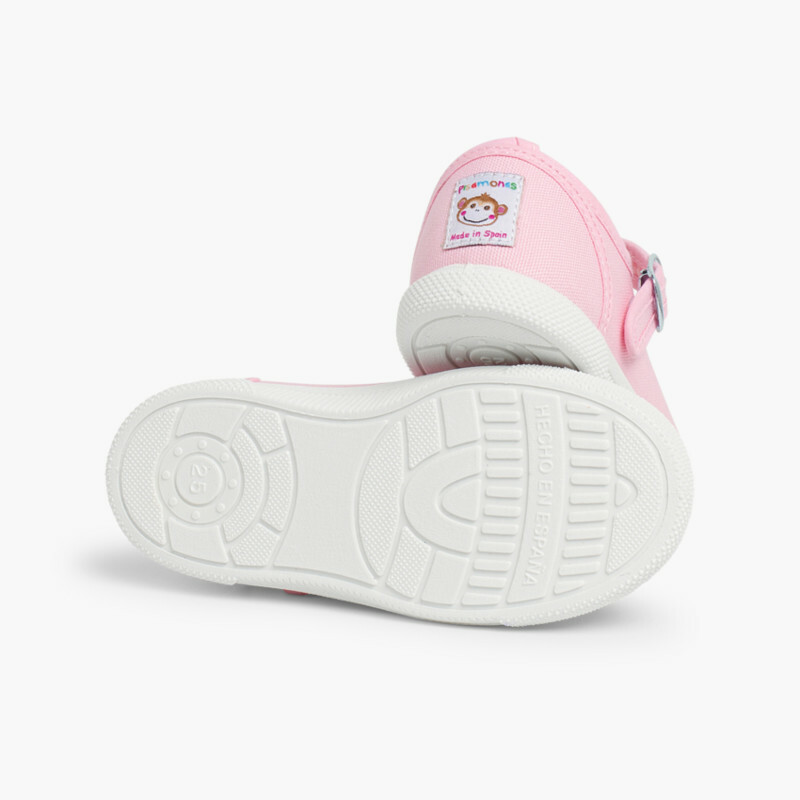 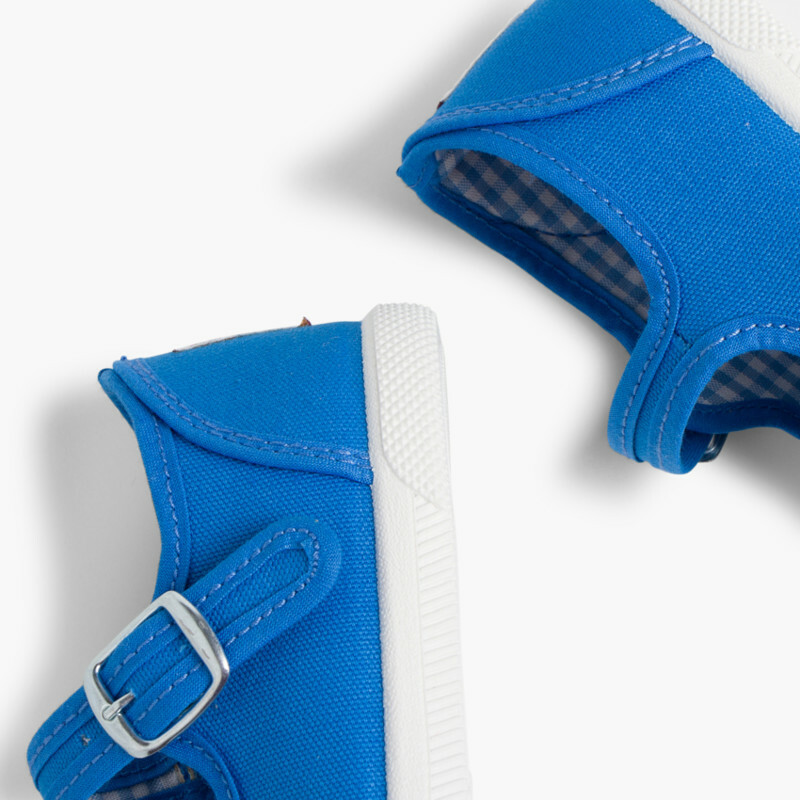 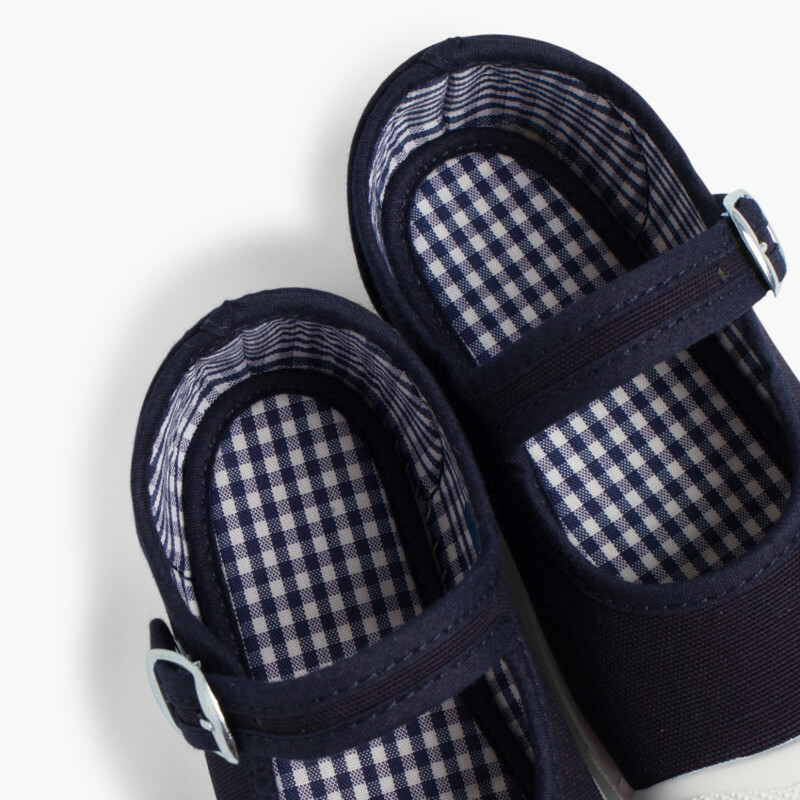 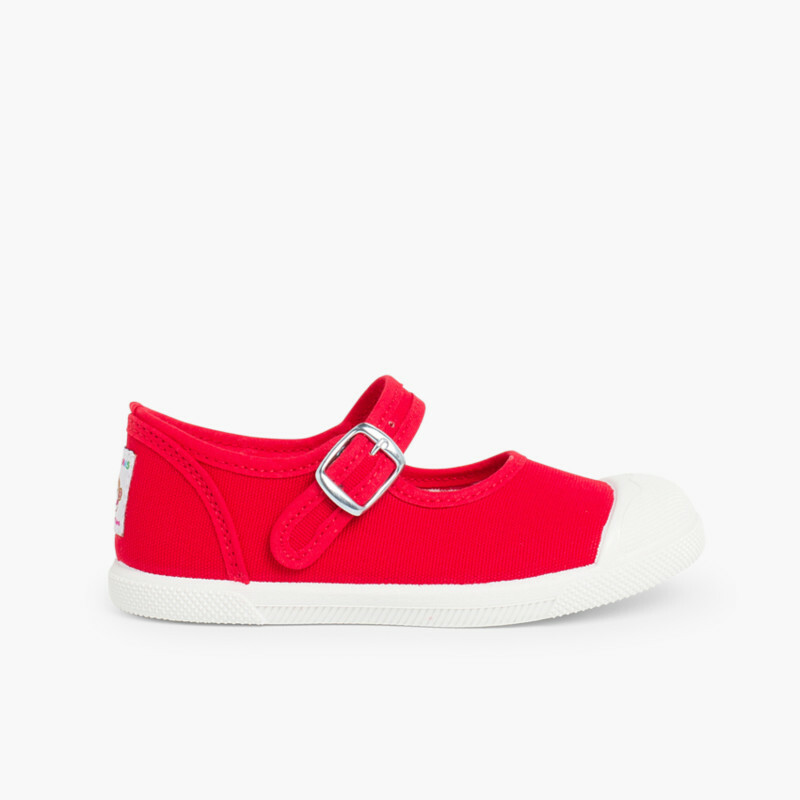 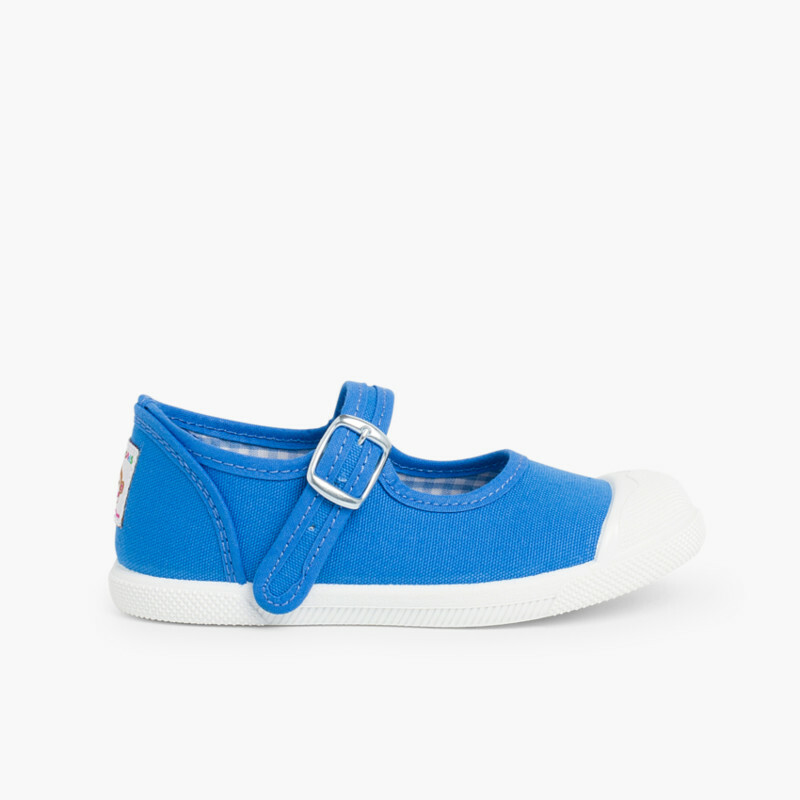 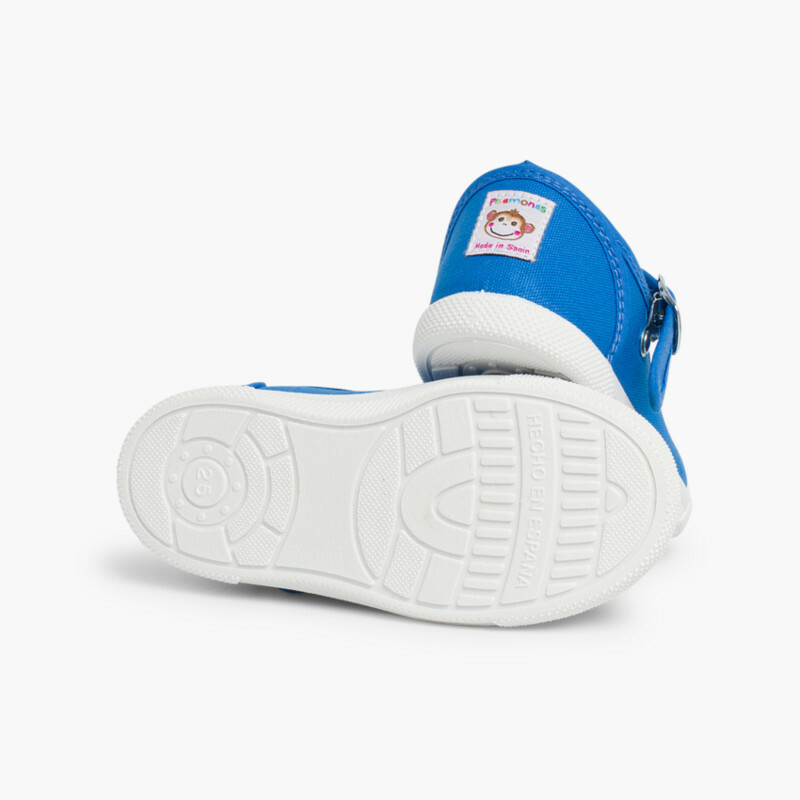 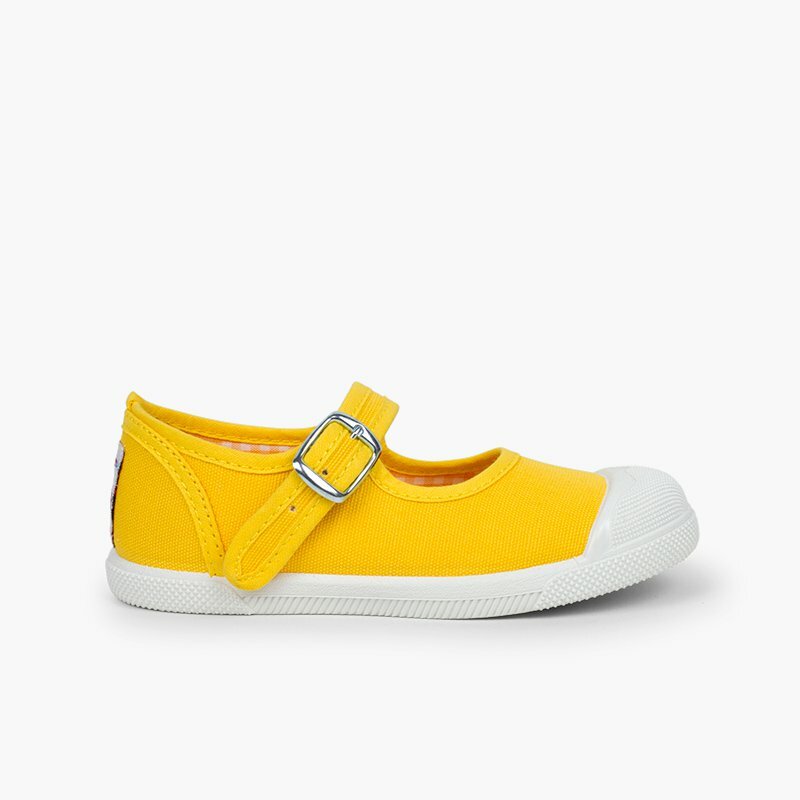 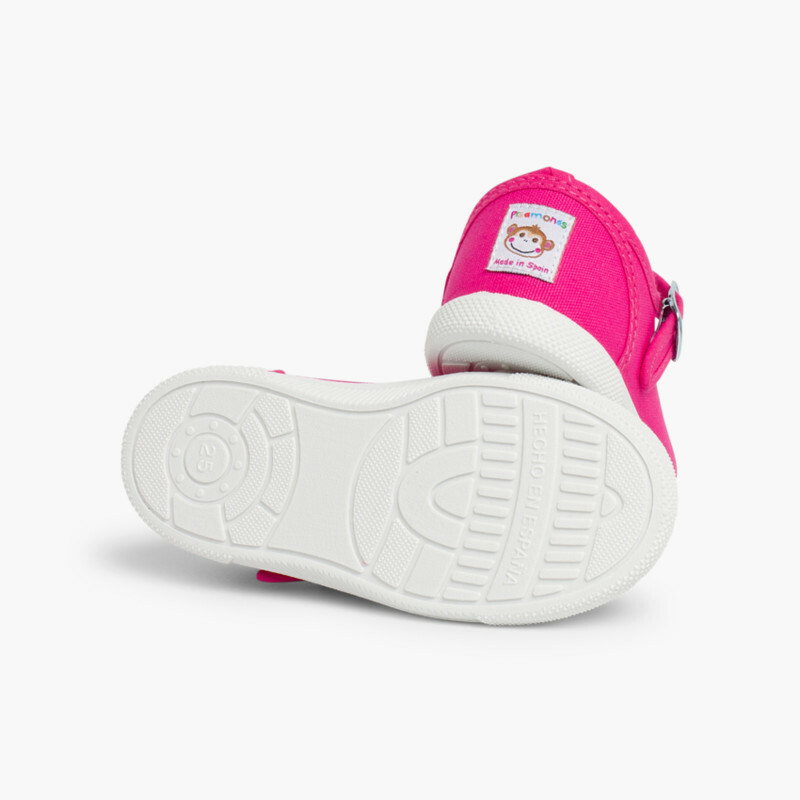 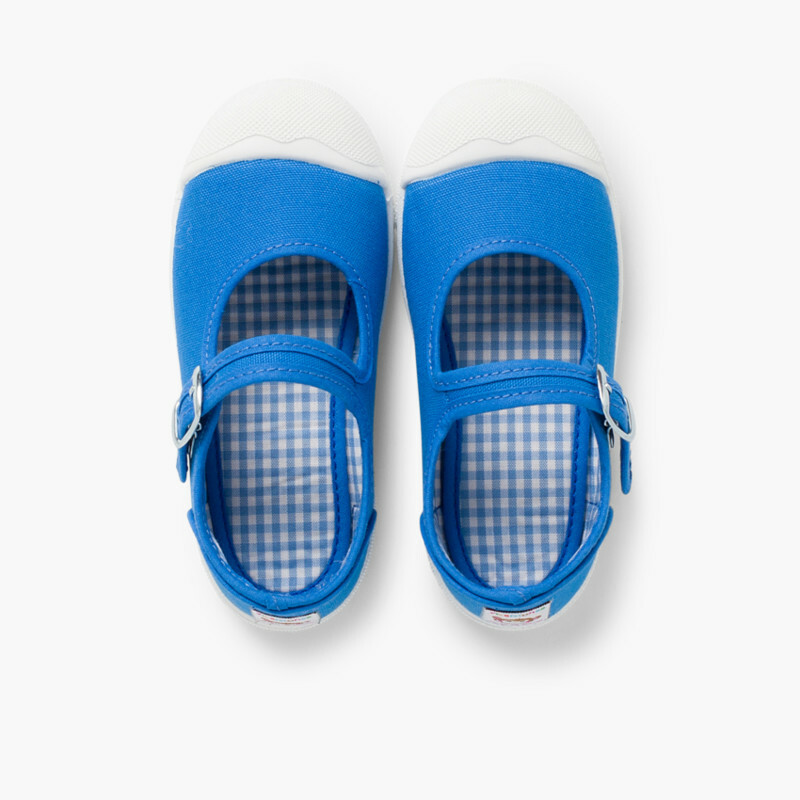 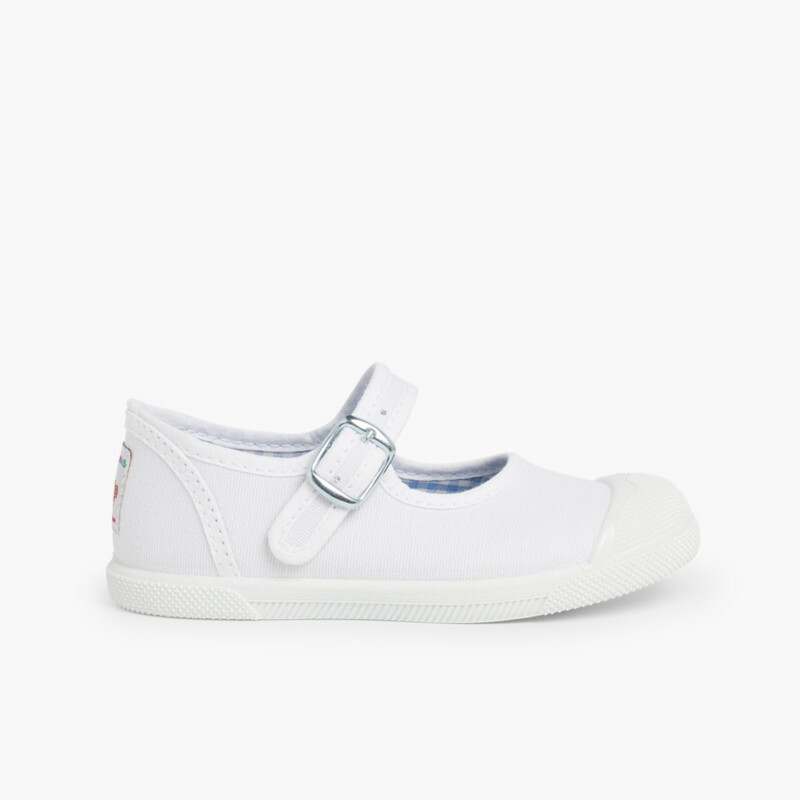 They also have a buckle, which means they’ll be a snug fit for their dainty feet. 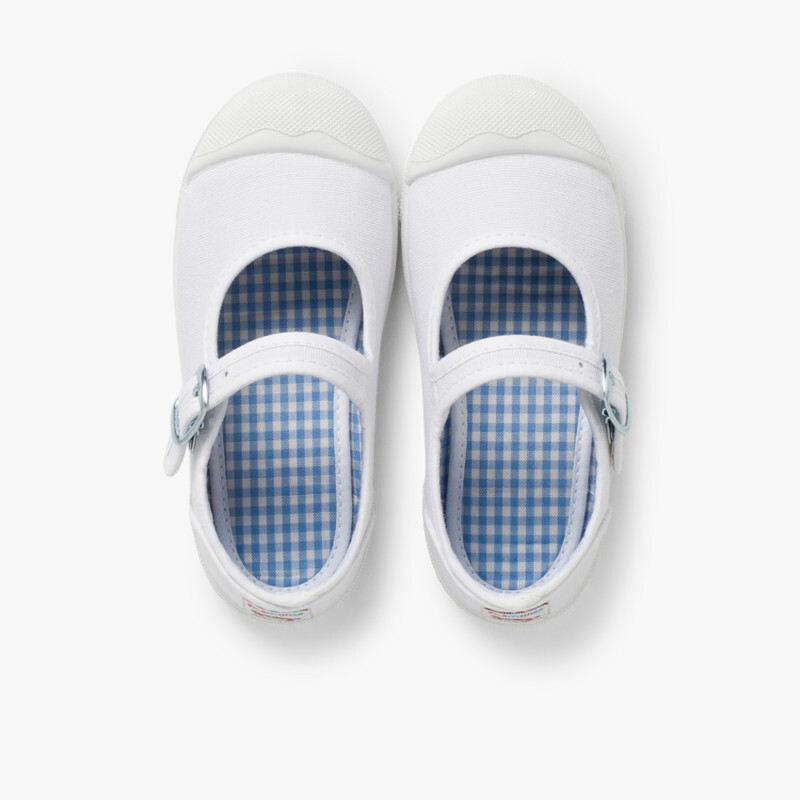 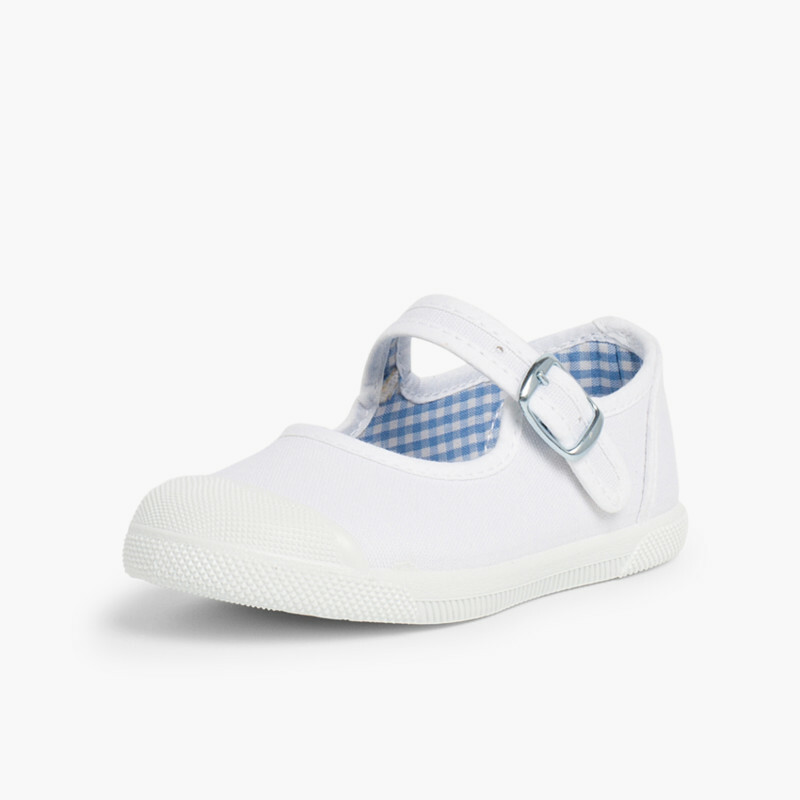 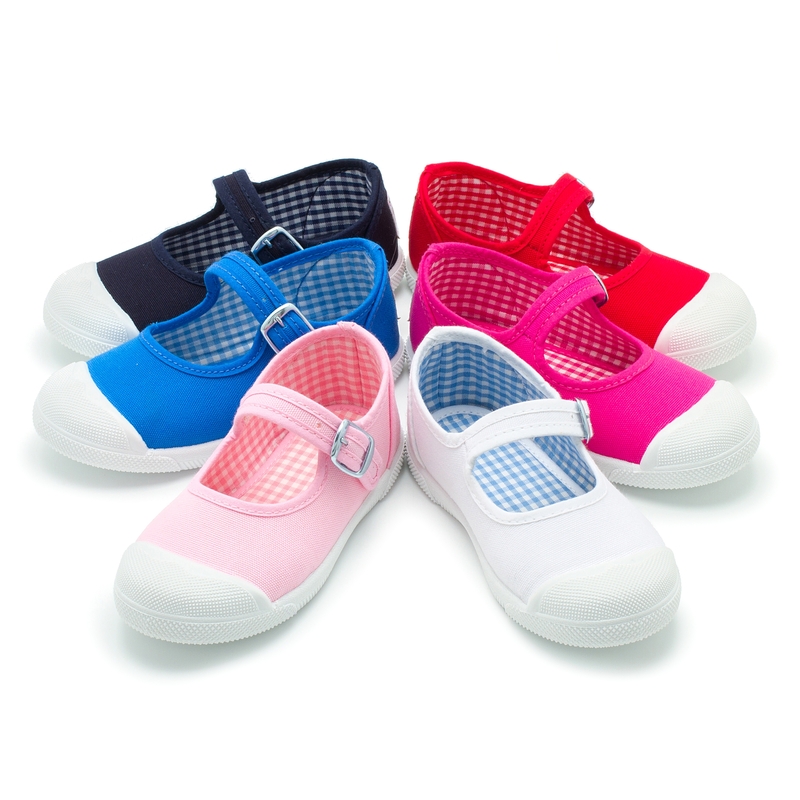 They’re available in white, fuschia, navy blue, red, pink, yellow and royal blue, with a gingham pattern on the inner lining. 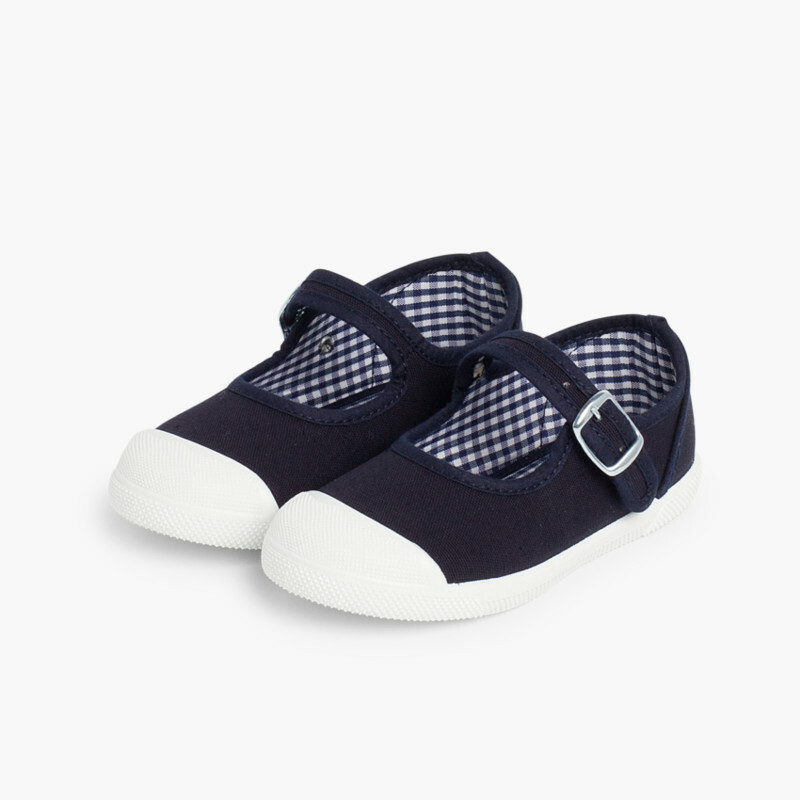 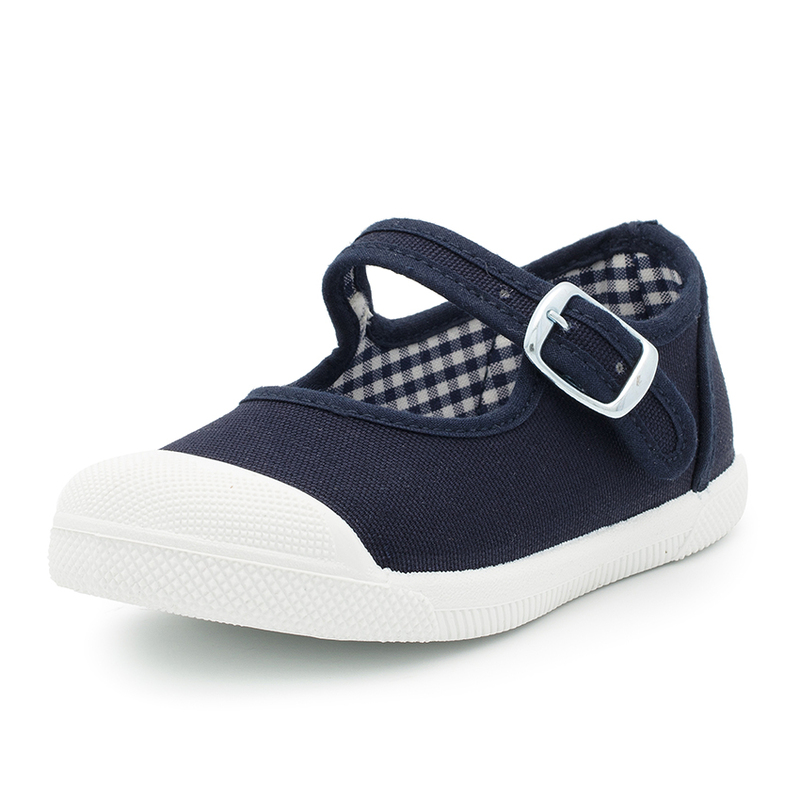 With these Mary Jane style shoes, your girls will be both comfortable and stylish, which they’ll adore. 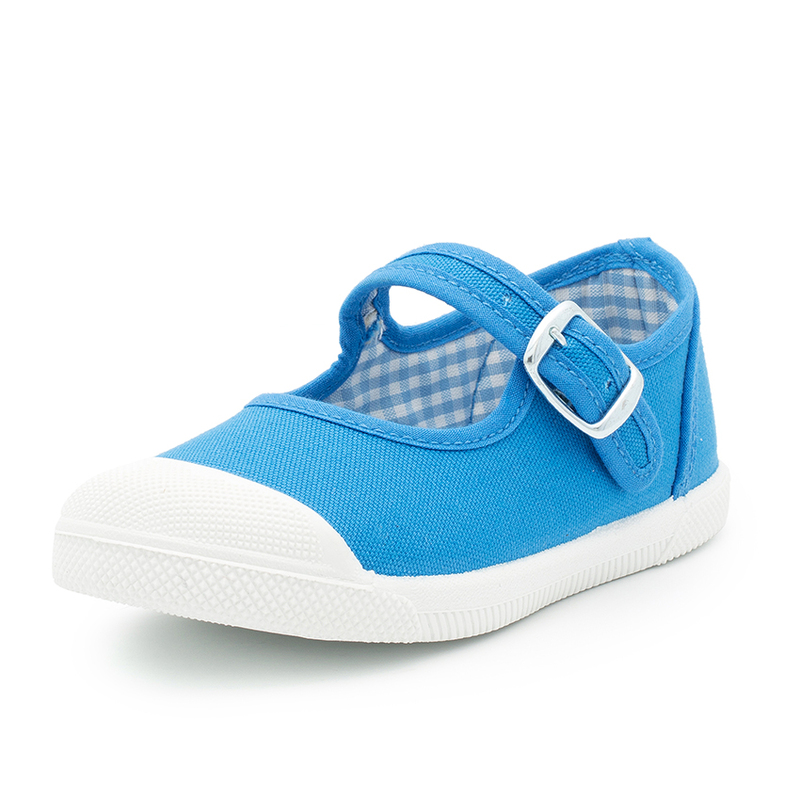 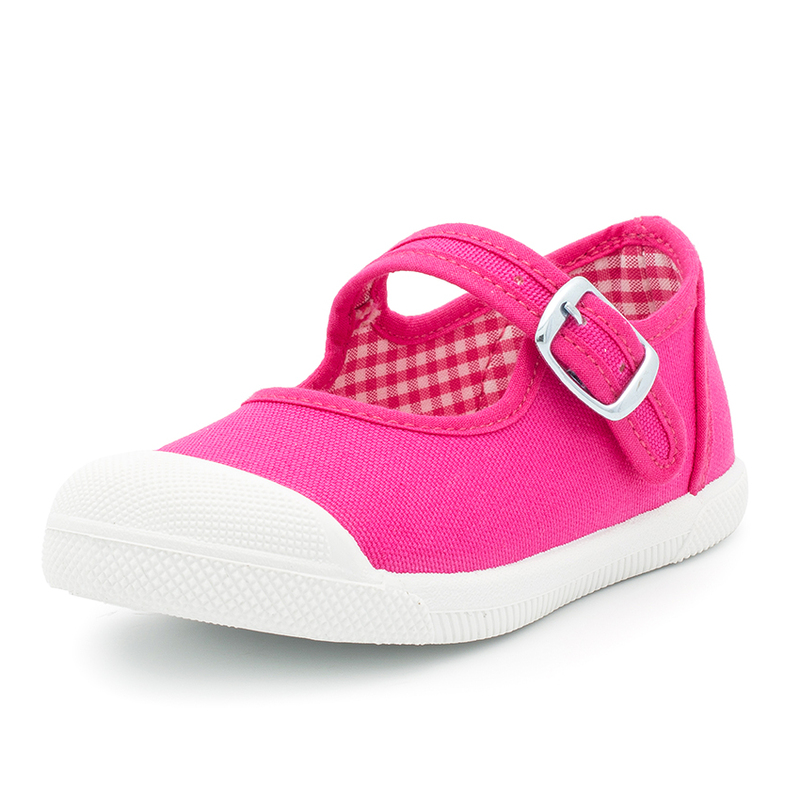 These shoes come in girls sizes 3 child up to 7.5 child. 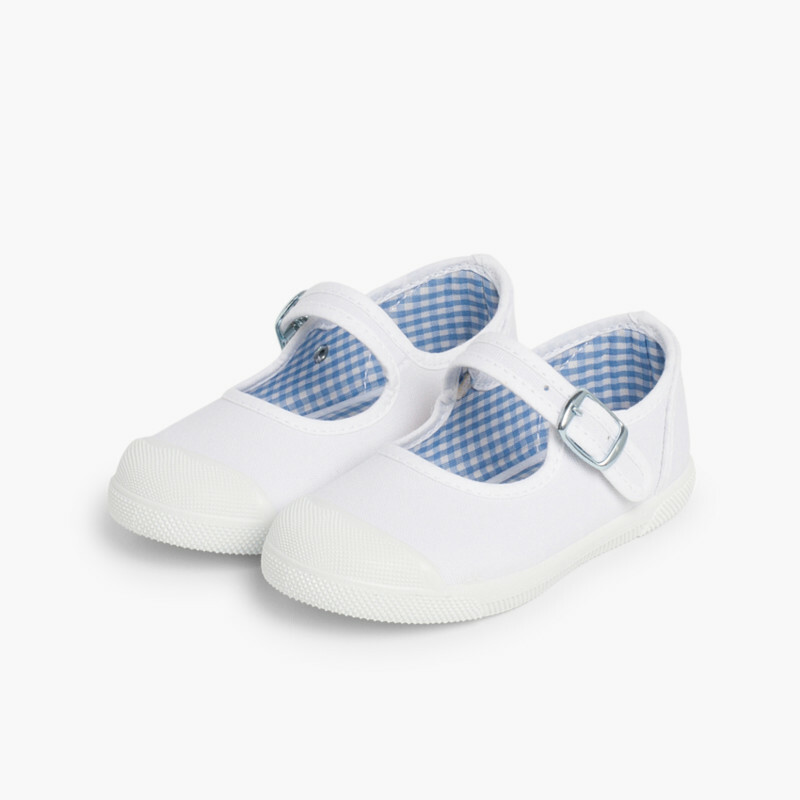 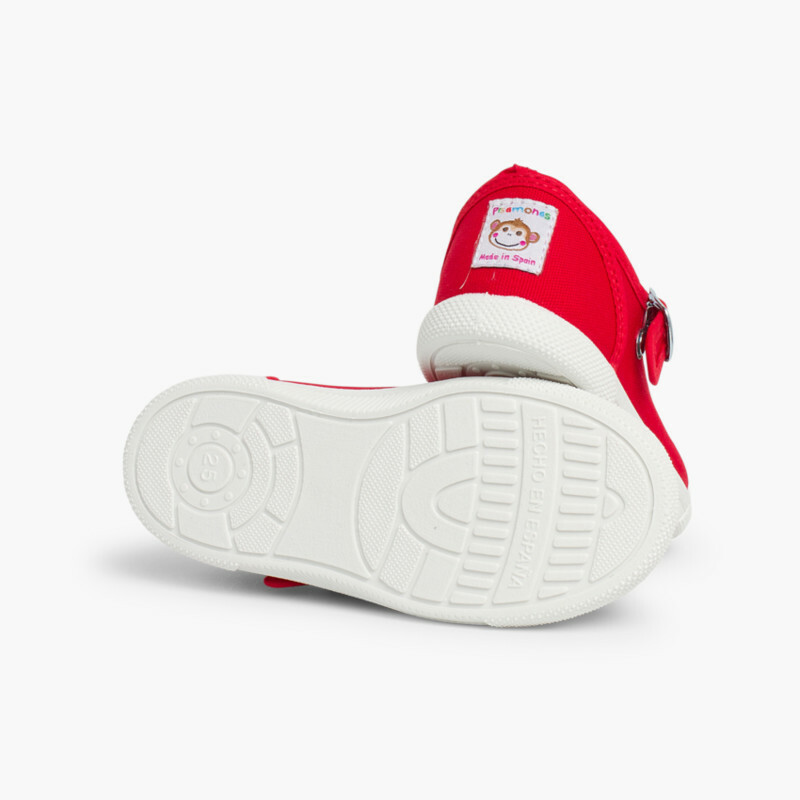 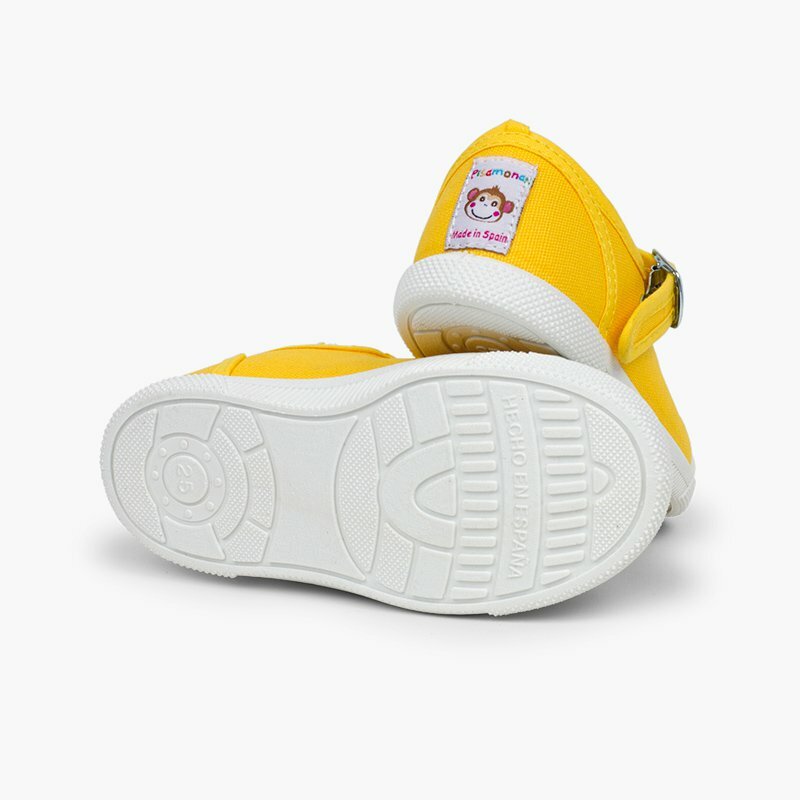 If you’re looking for a more classic style, Pisamonas also offers other models, including canvas Mary Janes without rubber toe caps. 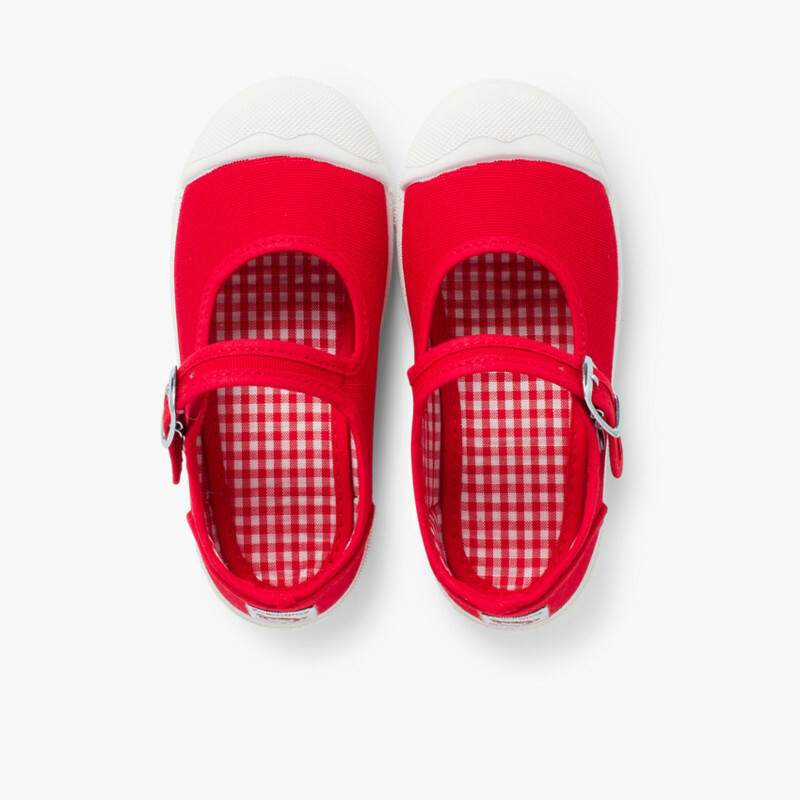 A pair of summer Mary Janes is a vital addition to their wardrobe!